Saw the MotoGP at Assen today - an incredibly exciting and close race. Vale back on top - simply superb. Think it makes him the 7th oldest GP winner ever, and the oldest in the modern era. A true hero, sportsman and a genuine lover of his sport. Well played. I watched the F1 this arvo and that was also a cracking race from an excitement point of view. Pity he had the recent tumble and zero points, otherwise he would be heading the championship again. I really feel he has it in him to win it again if he can get the bike set up to his liking, which it sounds like he might be closer to. Like many I couldn't watch it until Channel 5 on Monday night. The only thing that spoiled it for me was suspecting that I knew who'd won the race because of the title of this thread. I know we live in a world where it's difficult not to hear the latest news 24 hours a day but some of us still try. If the thread had been titled something like 'Dutch TT' or 'Todays 'Moto GP' it wouldn't have been a spoiler. 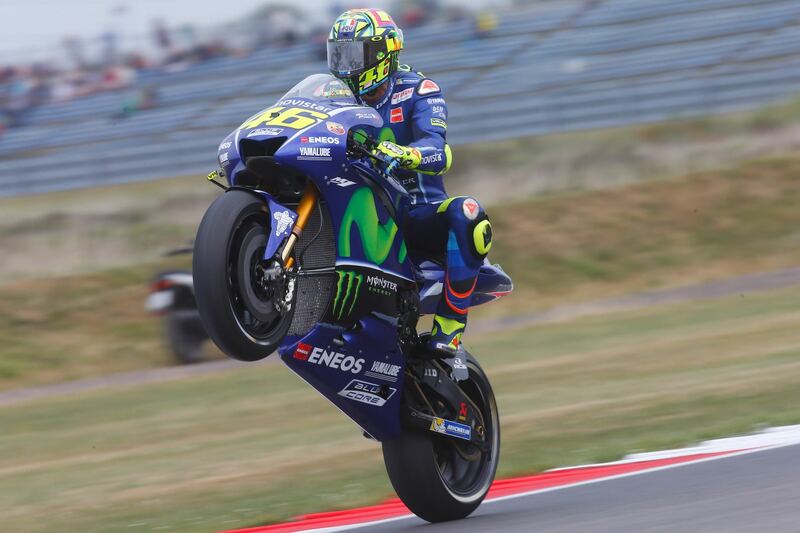 Brilliant race, VR 46 Good exciting racing this year. Now - Jaguar F-Type 2014 3.0 S Quickshift ,White/ Red interior (theme here!) Loving it . Previously - 997 C4S Tip-S, 2007, Silver/Red and Black Leather, PSE, Sports Chrono, Turbo wheels. Thanks for the heads up , watched and enjoyed, i see Lewis Hamilton fancies a go at MotoGP , i wonder if he would be any good , will to win and all that but probs to late for him now. Good to see the last few laps by my mates lad. Just pipped by Marquis, but still good racing.